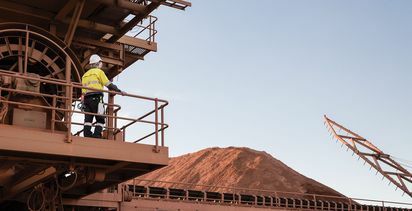 SOUTH32 has lauded the progress made in South Africa over the past year on a new mining charter, but called for more clarity and dialogue concerning the renewal of mining rights. Speaking at Mining Indaba in Cape Town on Monday, COO Mike Fraser said the constructive dialogue and collaborative working style of minister of mineral resources Gwede Mantashe and his team had resulted in considerable progress in the past 12 months. "We now have agreement on the mining charter and its implementation guidelines, which has provided much-needed policy certainty in South Africa. 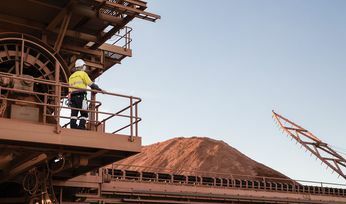 However, we still need clarity on the matter of continuing consequences as it refers to renewal of mining rights, which is a material issue for the industry," he said. "We hope that the constructive dialogue will continue and bring a resolution of this matter." 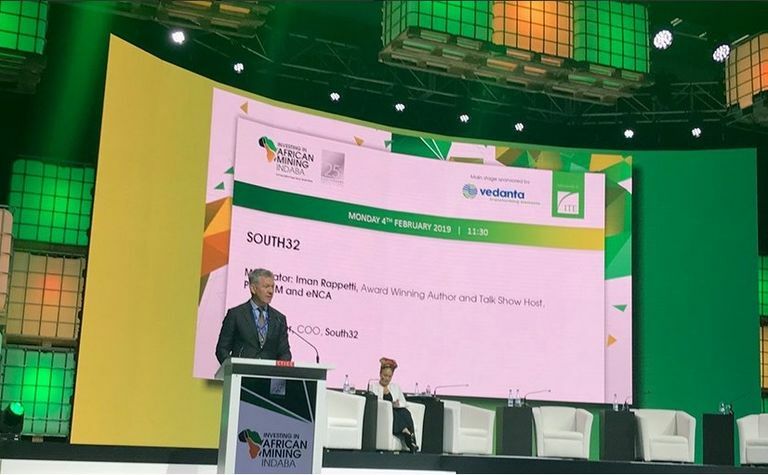 South32 last year decided to spin out its South Africa Energy Coal division as a standalone business with its own management team. Fraser told the conference South32 had started a process to broaden the ownership of the business, with binding bids expected in the first half of 2019. 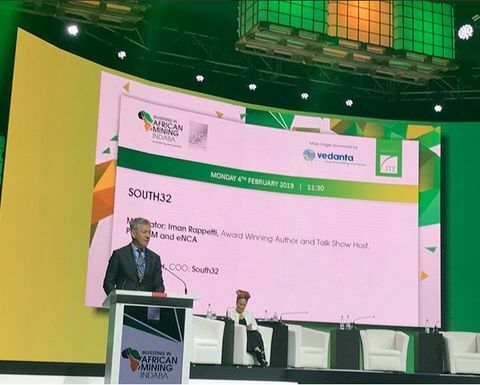 "Our intention is that South Africa Energy Coal becomes black-owned and operated, as we believe this will best support the long-term sustainability of the business while also supporting South Africa's transformation agenda," he said. The move to divest the division to a black-owned business would enable it to better compete for new supply contracts and mining rights. Fraser said South32, in keeping with the spirit of the mining charter, was also working to define a mechanism for communities and employees to share in the value generated by South Africa Energy Coal. Although the company has invested R4.3 billion (US$320 million) in the division's Klipspruit extension project, he said additional investment was needed to sustain production and deliver on the potential of the resource base. 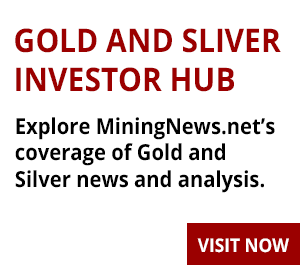 "It is imperative that we identify an owner with the necessary mining expertise and financial backing to ensure the business remains sustainable," he said. Fraser also addressed South Africa Energy Coal's relationship with embattled state-owned power utility Eskom, saying South32 had a strong relationship with the utility as a supplier and buyer, but was "concerned that its challenges have increasingly threatened the sustainability of its business". "We support views that Eskom should be broken up to ensure appropriate management focus on each of its core areas and believe this work should commence in parallel with the short-term measures. "South Africa's future economic growth and the fulfilment of its development aims are inextricably linked to the sustainability of Eskom. But Eskom's current situation is the single biggest risk to South Africa's economy," he said. Fraser, agreeing with Minerals Council South Africa, opposed the 15.5% tariff hike requested by Eskom, saying this and supply interruptions were challenges to energy intensive industrial users. He said the price of electricity was a key factor in South Africa's ability to compete for investment in industrial development. "When compared to other countries, the cost of power weighs on South Africa's bid to increase foreign direct investment and impacts existing industry. "The current scenario risks a downward trend in the proportion of electricity sales derived from industrial customers - a reduction that Eskom cannot afford and that increases the likelihood of further tariff hikes for all. "These consequences can jeopardise South Africa's economy, reduce enterprise development and slow the creation of jobs," Fraser said. He called for urgent action on stabilising Eskom, which could help minimise interruptions to customers while avoiding tariff hikes, which he said was "key to ensuring industry remains competitive and continues to employ millions of South Africans". "Eskom is the engine of South Africa's economic growth. A robust national power utility that is sustainable over the long term will benefit everyone," Fraser said.